I'm sure I'm not alone, but TripAdvisor is my safety net when it comes to booking hotels. You can be set on the dreamiest of hotels, with your finger poised on the "book" button, but read a bad review on TripAdvisor? And that's it. That hotel suddenly loses it's magic and you start to look elsewhere. Recently I went to Bristol and Weston-Super-Mare for a long weekend. 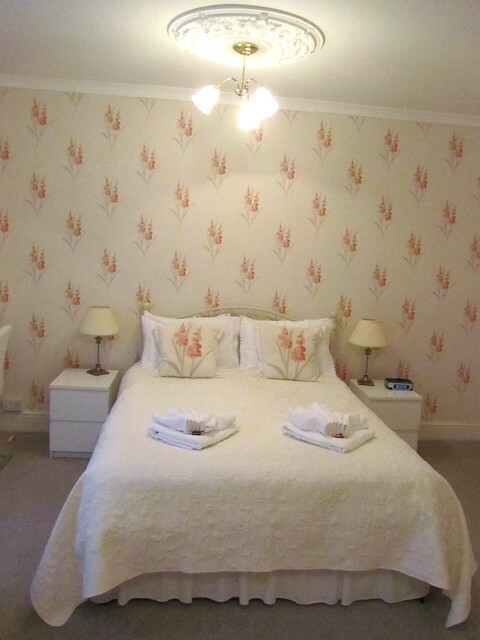 Family had recommended a B&B near to the coast in Weston-Super-Mare and after a curious little peek on TripAdvisor - where there were glowing reviews - the booking was made. 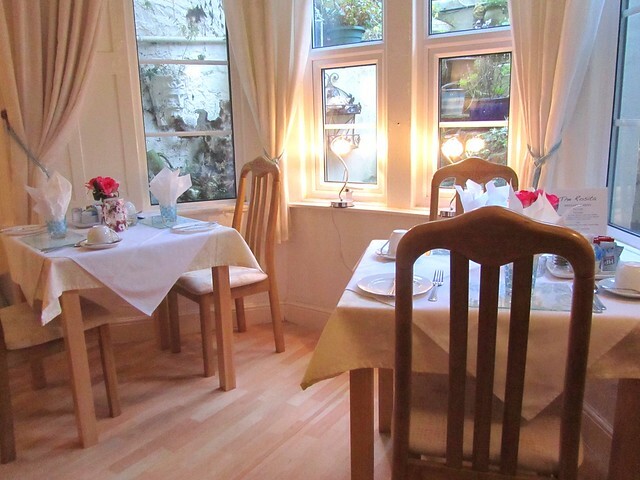 The Rosita is a guest house ideally placed just 30 minutes away from Bristol International airport, and a stone's throw away from Weston-Super-Mare seafront and pier, local shops, a Sea Life Centre and many, many wonderful restaurants. The Rosita has six rooms in total, set upon three different levels. A group of us had gone away to celebrate my sister's 21st so we were all split into different rooms. All were decorated with different themes and done to a high spec. I've stayed in a fair few hotels in my time, but the Rosita was one of the best stocked I've ever been in. 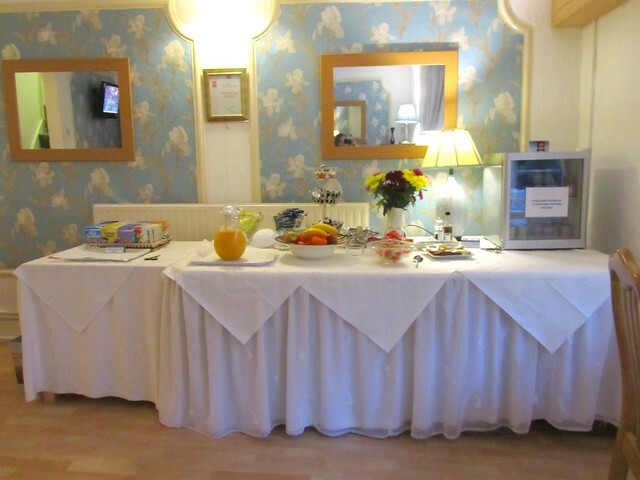 As well as complimentary tea and biscuits, and toiletries, there were also dressing gowns and slippers, chocolates left on our beds with artistically folded towels, complimentary drinks in each of our fridges and nice little extras I've never had before like a heat protective mat for curlers / straightners which were really handy when we were getting dolled up to go out! 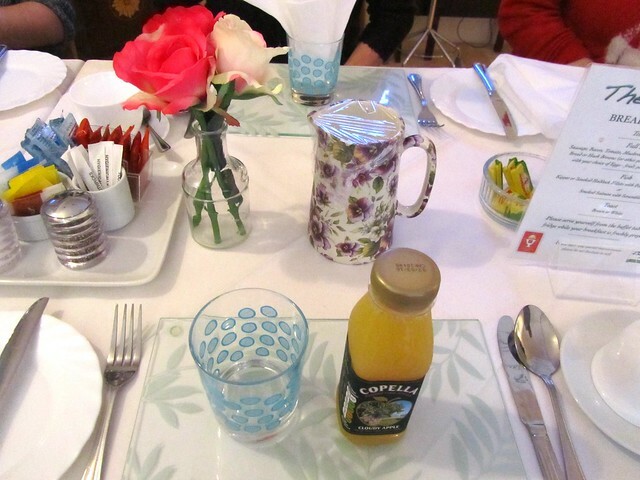 Breakfast is cooked to order and is served on the lowest floor of the guest house between 8.30 and 9.30am. 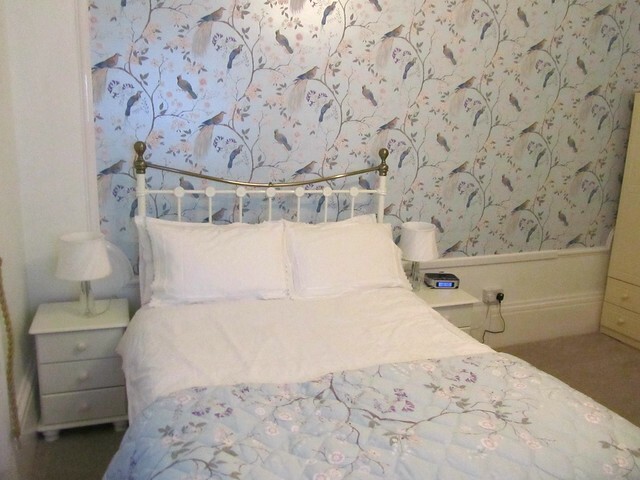 Again, it was a really well decorated room (more wallpaper envy! ), with beautiful details, and a breakfast table fully stocked with cereals, jams, spreads, fruits, yoghurt, juice and other refrigerated drinks. 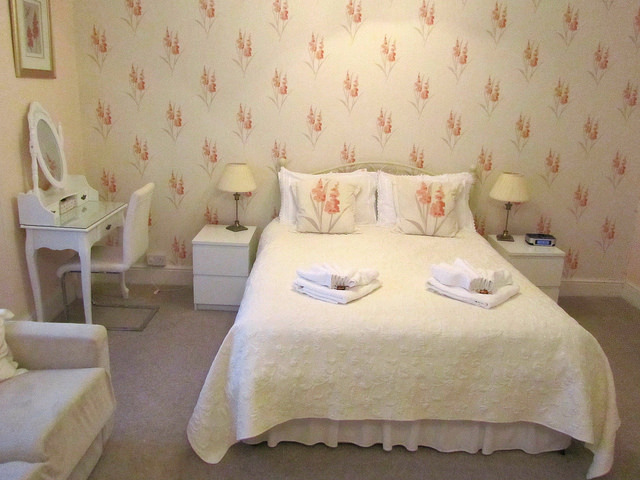 B&B rates include a cooked breakfast where you get a choice of small, medium or large. 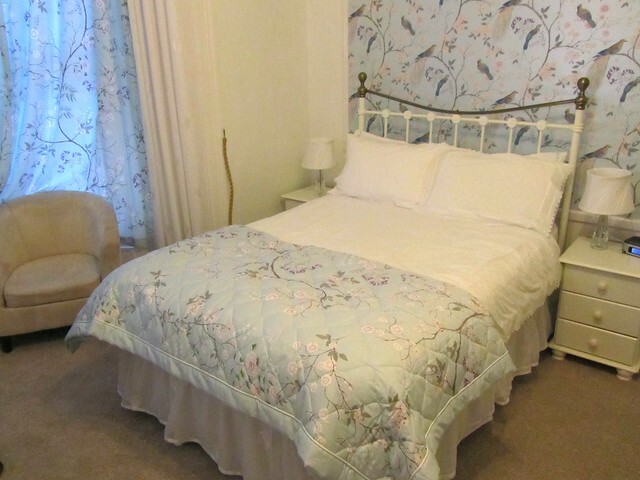 The information pack in our rooms did warn us that the large wasn't for the weak hearted and provided a photo of what it included.... it was huge! None of us were brave enough to chance one (all opting for mediums! ), however the man on the table behind us did. Legend! 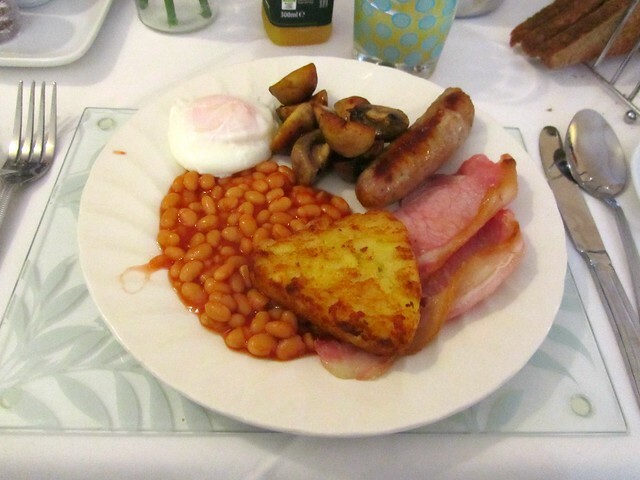 Some of our party were vegetarian and Diane and her husband Rob were very accommodating, making special veggie cooked breakfasts (hash browns, veggie sausages, beans and eggs). 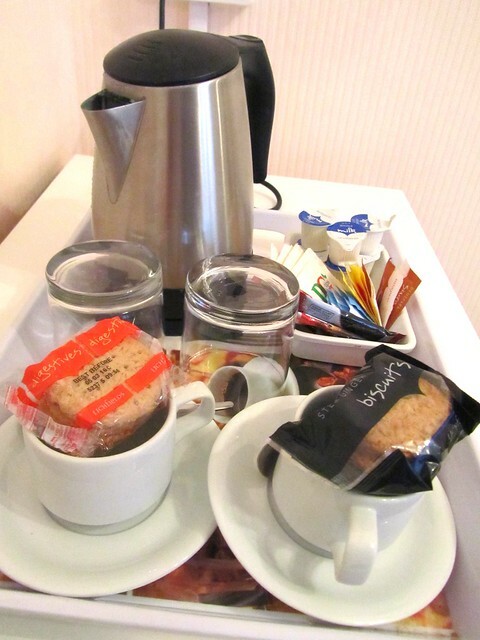 If fry ups aren't your sort of thing, there are a variety of other cooked breakfast options available such as kippers, smoked salmon, scrambled eggs etc which are all listed inside the information pack in your room. 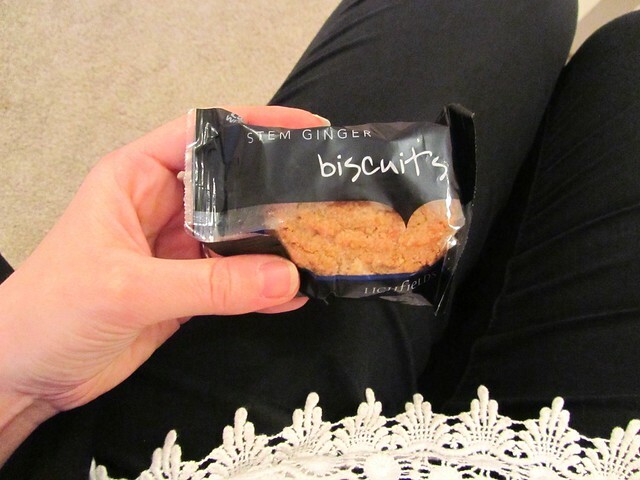 However if you have any special food requests / dietary requirements (like my veggie sis!) just call Diane in advance of your stay. FYI this is not sponsored content. I just had a lovely stay and wanted to spread the love!